From the budget conscious large events to the small intimate galas, we have a seat for you. The black plastic chair is the answer for any event of all sizes. 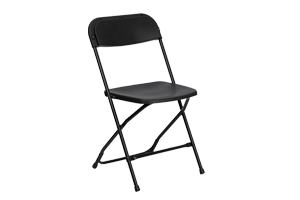 The black plastic folding chair is perfect for events such as weddings, receptions, and corporate events. The white plastic chair is the class choice of chairs. 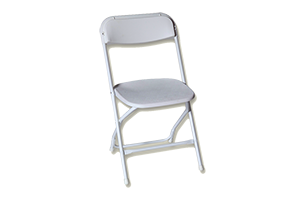 The white plastic chair can dress up your formal events such as weddings, receptions, and corporate events. 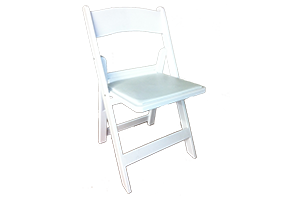 The white resin chair is the ultimate rental chair for weddings and corporate events. Padded seat for more comfort. 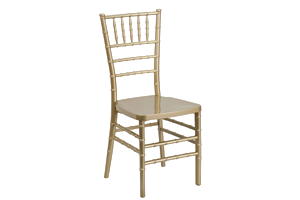 Ultimate rental chair for weddings and corporate events.